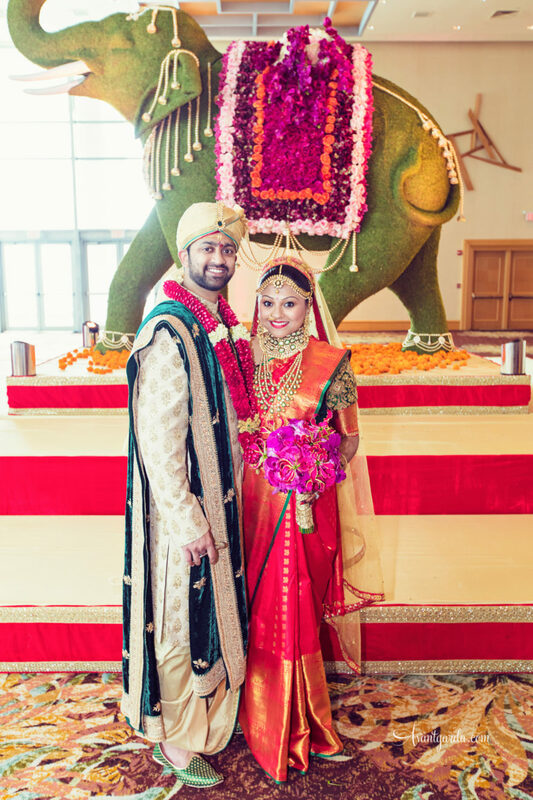 Shilpa and Shravan - Sonal J. Shah Event Consultants, LLC. Words cannot describe how thankful we are to you guys for the flawless execution of our dynamic wedding. From the moment we met you until the end of my reception, you all have been an integral part (if not, the most integral part) of my wedding planning journey. I know for a fact that we could not have done half of what we wanted to or half of what we achieved without your help. I’m the only bride that wasn’t the least bit stressed during her entire wedding planning process and trust me, that was not unnoticed. Everyone that asked me how got the same answer, it was because of you guys. I literally don’t have words as to how organized you were at all times. Our bridesmaids and groomsmen were in awe of how efficient you were when it came to answering their questions, how exactly on time each event was, and most of all, how easy you made it look. Neeti was wonderful during the actual wedding weekend and was always attentive to Shravan and I. I’m sure she went well beyond her duties when she had to try to drag Shravan out of bed the morning of the wedding! Ginny and Ruth, you guys were my go to with anything wedding related in the months and days leading up. I could always count on you to reply to me within minutes and answer any questions I had. You both were amazing!! All of our vendors said they couldn’t have done their jobs as well as they did without your guidance. My family was so incredibly pleased with everything, and you know how specific my dad can be, you made HIM happy. That’s a huge deal! Overall, I may have had a dream wedding but it was so much because of my dream event planning team. You are an extremely talented woman Sonal, and you have an amazing team to back you up. You were my wedding lifeline and as happy as I am that we had the best wedding ever, I’m going to miss talking with you every day and your 100 emails!! I hope we can keep in touch and that I have more occasions in the future that you can plan for me! Love you guys! !